The three NGOs said they issued the complaint because the EIB – which invests an estimated €80 billion in projects annually – blocked a challenge to its new transparency policy from the three groups. During a conference organised by the Centre for European Policies Studies (CEPS) on 19 September, EIB Vice-President Peter Sedgwick highlighted the bank’s increased commitment to environmental objectives. Anna Roggenbuck, policy officer at CEE Bankwatch Network, said the NGO’s initial complaint was rejected by the complaints mechanism of the EIB on inadmissibility grounds. “The Ombudsman decision is a clear signal the claims were admissible. We are glad she will investigate the way the complaint office took its decision a few months after it first confirmed admissibility for the complaint, and whether it was caused by management intervention,” Roggenbuck said. Transparency is important for the bank because it impacts several environmental decisions, the NGOs said. According to ClientEarth, the decisions range from deciding if dams will be built on vulnerable ecosystems to whether funding will go to renewables or fossil fuels. Because of the billions of euros EIB invests here, ClientEarth said it is key for European taxpayers to know that funds are spent in the public interest. 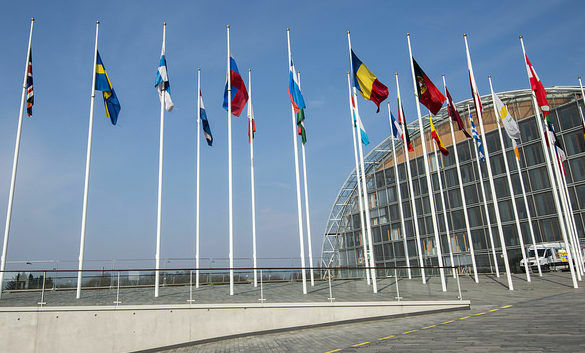 This isn’t the first time that the EIB has found itself in hot water. In 2011, it was accused of funding the the fossil fuel industry with €16 billion of loans since 2007. 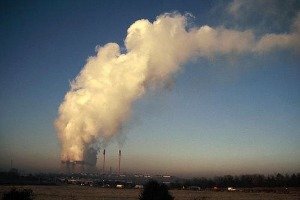 The European Investment Bank has been accused of funding the fossil fuel industry with €16 billion of loans since 2007, more than that stumped up for any other energy source. Now, one of the main concerns with the bank is its transparency policy. The EIB policy keeps all information about investigations confidential, including those of corruption and fraud. ClientEarth said it is particularly concerned about the accountability of the bank because it creates illegal exceptions to people’s right to scrutinise it. James Thornton, ClientEarth chief executive, said the complaint mechanism is in place to make sure the bank is accountable for every euro of public money spent. “If the EIB stops public scrutiny of its actions using its so-called transparency policy – and blocks challenges to that policy – it is failing doubly in its duties,” Thornton said. The Ombudsman said she will ask the EIB to respond to the complaints. If her investigation concludes that the bank is guilty of maladministration, she said she will recommend ways it can improve its transparency. “We hope [the investigation] will shed light on the culture of secrecy still prevailing at the EIB and on the need for the bank to raise the bar on transparency,” Xavier Sol, director of Counter Balance, said. Matteo Maggiore, EIB spokesman, said, "As the EU Bank, the EIB group is committed to maximum transparency. It is wrong to say that the EIB has dismissed the complaint from the NGOs in question overall. The complaint has two elements. The first is about the implementation by the EIB of its transparency policy. The EIB’s complaint mechanism is currently dealing with this and the investigation is ongoing. The second element is about possible issues around the legality of the EIB’s transparency policy itself. Here, the EIB’s Complaint Mechanism took the view that it was not in a position to deal with issues concerning the legality of the EIB Transparency Policy, which was approved by the EIB Board of Directors. The Bank has just been informed by the European Ombudsman of this complaint. It is entirely appropriate for the NGOs to approach the European Ombudsman in case of disagreement, as laid down in the Bank's own accountability mechanism. We will work closely with the Ombudsman on this as we always do. The EIB’s complaint mechanism is independent from EIB management and looks at each issue on individual merit. The bank cultivates a culture of engagement and exchange of information. We have an ongoing dialogue with all civil society organisations and cooperate openly and fruitfully with the European Ombudsman on clarifying and improving our policies."